The summer is finally in full effect and so are accessories. 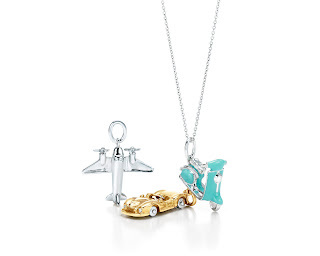 If you are looking for a way to remember your vacation or the perfect summer gift, then Tiffany & Co. has the answer. Their amazing new travel charm collection is the perfect way to celebrate the assortment of New England vacation spots and activities such as scooting around the Vineyard or laying on a Cape Cod beach. 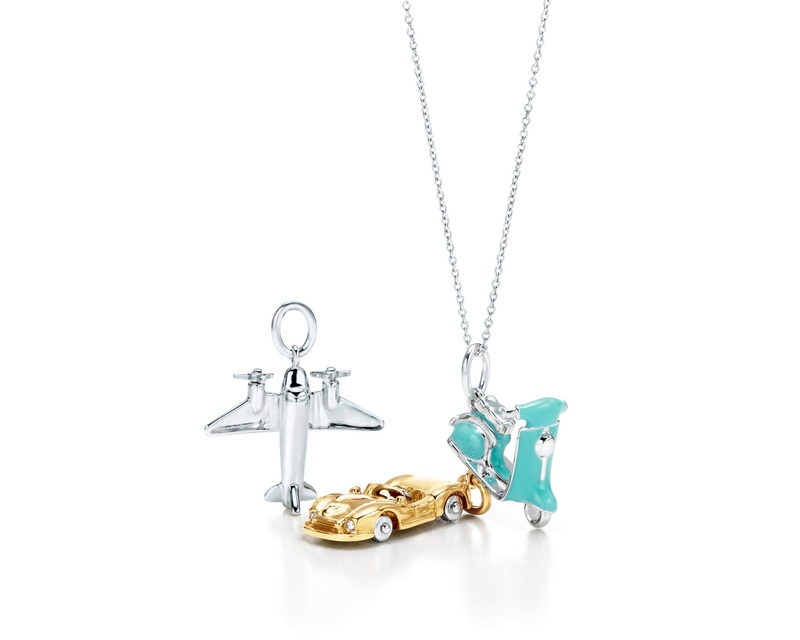 Tiffany & Co. has created four different charms to add to any jewelry collection as a keepsake memory; Flip Flop Charm (Sterling Silver), Diamond Straw Hat Charm (18k Yellow Gold), Sailboat Charm, Scooter Charm with Tiffany Blue® enamel finish (Sterling Silver). Every girl loves the signature Tiffany Blue Box® these charms come wrapped in. Add one to your favorite charm bracelet or necklace to create your own signature look! Fortunately, I was lucky to snag one of these adorable charms and added it to my charm necklace which reminds me of the things I love. The Scooter Charm reminds me of this summer's trip to the Vineyard where I actually couldn't wait to drive my own Tiffany blue scooter! Find your signature charm at Copley Plaza, Boston, Natick Collections, Natick MA, The Atrium, Chesnut Hill MA. OMG! Am loving the scooter, how adorable! They are available in the UK so rush rush Louisa! !